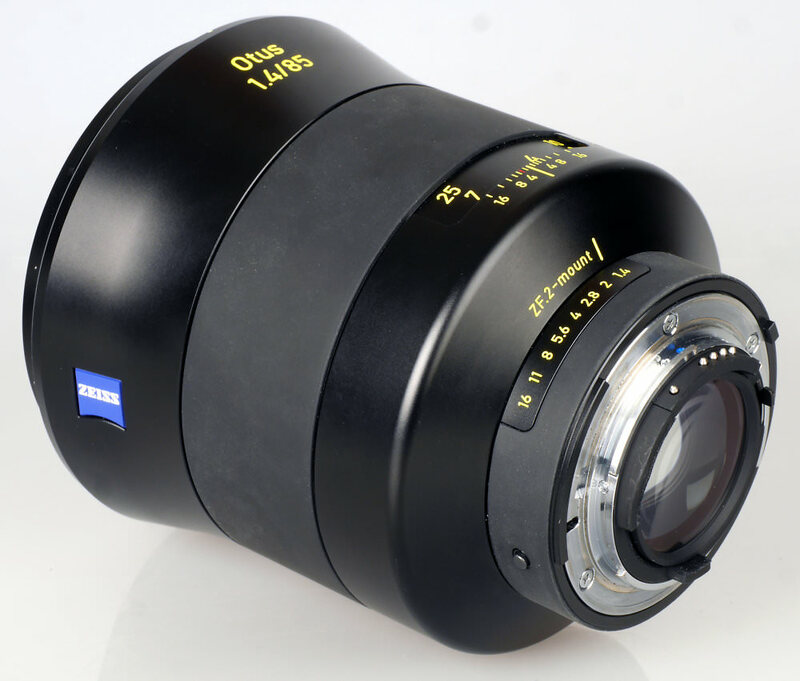 Gary Wolstenholme reviews the Zeiss Otus 85mm f/1.4 ZF.2 - the World's best 85mm lens? Find out in our review. The Otus range from Zeiss is as much about them showing what's possible from an optical design, as it is anything else. Their 55mm and the 85mm lens are both accompanied by proclamations of them being 'the best lenses in the world' on the Zeiss website, which is quite a claim to make, and one that isn't wholly unbelievable coming from Zeiss. If you were to try to buy the 'best' anything in the world, whether it be a kitchen knife, or a car, you'd expect to have to be ready to stump up some serious cash to own it. This 85mm f/1.4 may sport a fast f/1.4 aperture, but it is a manual focusing lens, and is available for around £3220. 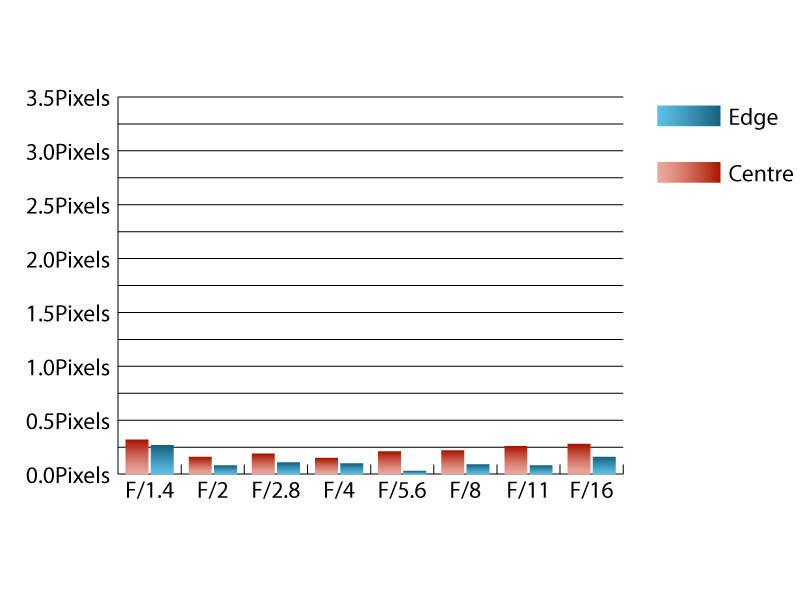 That's a lot of money for an 85mm lens and in this review, we'll take a look at how it performs. Amongst the most striking things about this lens is just how large it is, even for a 85mm lens with an f/1.4 maximum aperture. With the supplied hood attached, it is truly huge, which probably won't make this lens suitable for inconspicuous shooting. It's heavy too, with the Nikon ZF 2 mount lens tipping the scales at just under 1.2 kilos. Even so, due to its huge size, the lens balances well on the Nikon D600 used for testing as a result. There is no autofocus, and unfortunately this lens does not combine well with the electronic range-finder system employed in Nikon cameras, (three different bodies were tried) reporting in focus images when it can be clearly seen that focus is miles off, so live view focusing is recommended with this lens, which can be quite cumbersome to use in practise. Thankfully, the manual focus ring is smooth in operation, giving a satisfying metal-on-metal clunk when the stop is reached at each end of the focus range. Close focus to infinity takes a 180 degree turn of the focus ring, which is a good compromise between speed, and allowing for fine adjustments. Closest focus distance is 80cm, and the large 86mm filter thread does not rotate, which should make this lens ideal for use with graduated filters and polarisers. Sharpness in the centre of the frame at maximum aperture is already excellent, with fairly good sharpness being recorded towards the edges of the frame. Stopping down improves performance across the frame, only slightly in the centre, but drastically towards the edges of the frame. 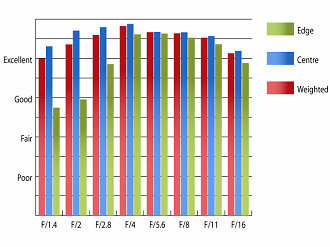 As a result, outstanding sharpness is realised from edge to edge between f/4 and f/11. Levels of chromatic aberrations are extremely well controlled, only just exceeding a quarter of a pixel width towards the edges of the frame at maximum aperture. You will be hard pushed to notice this low level of fringing at all. As you may expect from a fast aperture lens, falloff of illumination towards the corners is quite pronounced. At maximum aperture the corners are 2.41 stops darker than the image centre and visually uniform illumination isn't achieved until stopped down to f/4 or beyond. Distortion is negligible. Imatest could only detect 0.18% barrel distortion, which will be incredibly difficult to spot and should never require correction. So far so good, but one issue with this lens' optics did surface that is worth mentioning. Out of focus highlights, which are all-important on a lens like this appear to show marks that may be from the way aspherical elements in the lens are produced. These marks sometimes show as concentric rings or lines, spoiling what would otherwise be perfectly rendered out of focus highlights. 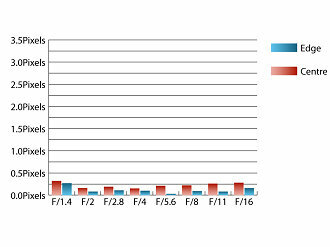 You'll not notice this issue photographing test charts, but it will soon become annoying in portraits and other areas of photography requiring the shallow depth of field you get at f/1.4. As aspherical elements are commonplace nowadays, this phenomenon isn't unheard of, although it is a shame to see it appearing in a lens that costs this much. As you might expect from a Zeiss optic bearing the red T* nomenclature, contrast holds up very well indeed, even when shooting into the light. A huge metal circular hood is supplied with the lens, which does a great job of shading the lens from extraneous light that may cause issues. Being priced at over twice the price of any 85mm lens from Canon or Nikon, including Canon's 85mm f/1.2L II USM lens, talking about value for money with this lens seems churlish, if not completely pointless. 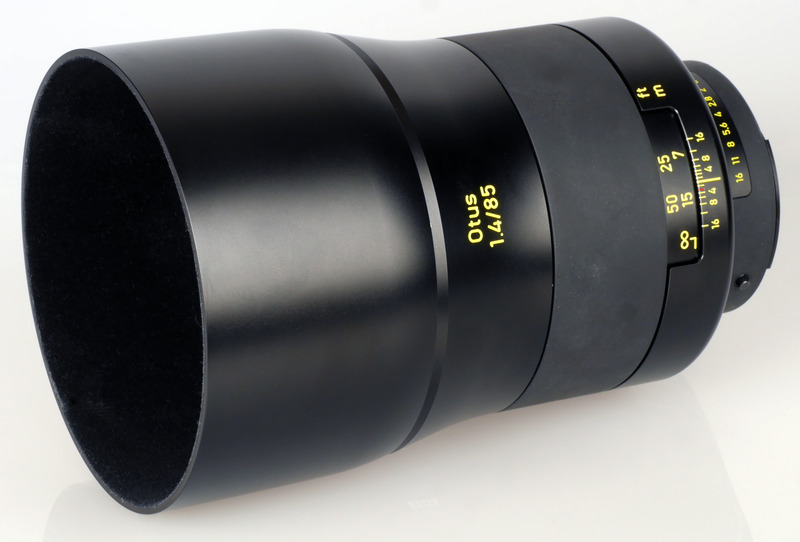 There will be people who are more than happy to stump up the cash for this lens due to the Zeiss name and reputation that goes with it, just as there are people who will buy a Bentley, or Japanese cold-folded steel kitchen knives. To these people, this lens will probably represent as good value for money as their other luxury goods. However, the average photographer may be able to find other ways to spend their money. There is no doubting that as far as combined performance in sharpness, CA and distortion are concerned, there is probably no equal for this lens. If you require an 85mm lens that is capable of rendering more lines in a millimetre than any other, then this is the lens for you. However, those with more artistic, or practical uses for this lens may find the inability of the Nikon version of this lens to work with the camera's electronic rangefinder a serious stumbling block, and the way out of focus highlights are rendered - a deal breaker, even before the £3220 price is taken into account. On the other hand, you may never notice the concentric rings in out of focus highlights, and will simply enjoy the excellent clarity delivered by this lens. There is plenty going for this lens, but it will pay to take its limitations and quirks into account, to be sure they don't clash too much with your shooting style, and the work you wish to produce. Zeiss lenses are available from the following Zeiss dealers. Think I'll make do with my humble Nikkor 85. Put a cheap UV filter smeared with vaseline on this and it woukd make quite a nice portrait lens. 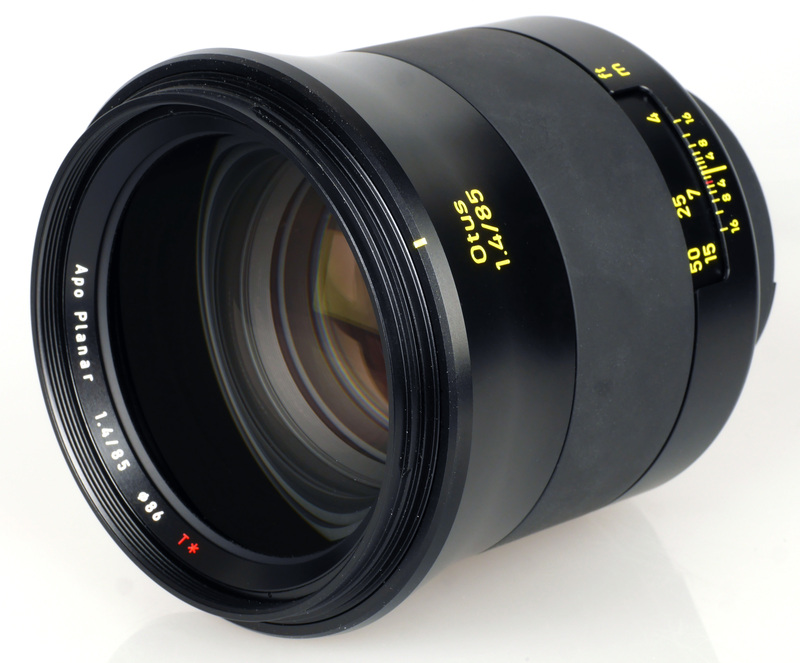 This is probably a lens that had to be made, but I doubt they'll sell many... Having bought a Zeiss Planar 85mm f/1.4 for my Alpha 900 last summer, I was marginally miffed when Zeiss announced an 'even better' lens - and reading the review, it probably isn't, in reality. Yes, sharper, and with fewer aberrations - but slow and heavy compared with the lovely AF of my Planar - or indeed compared with my 1977-vintage Planar on my Contax, which works wonderfully with the Contax microprism screen for accurate manual focus... A bit like a Ferrari - under perfect conditions, perfect. On the street, in the folk club... Something smaller and lighter, more agile and economical will actually outperform it in a lot of ways, in practice. 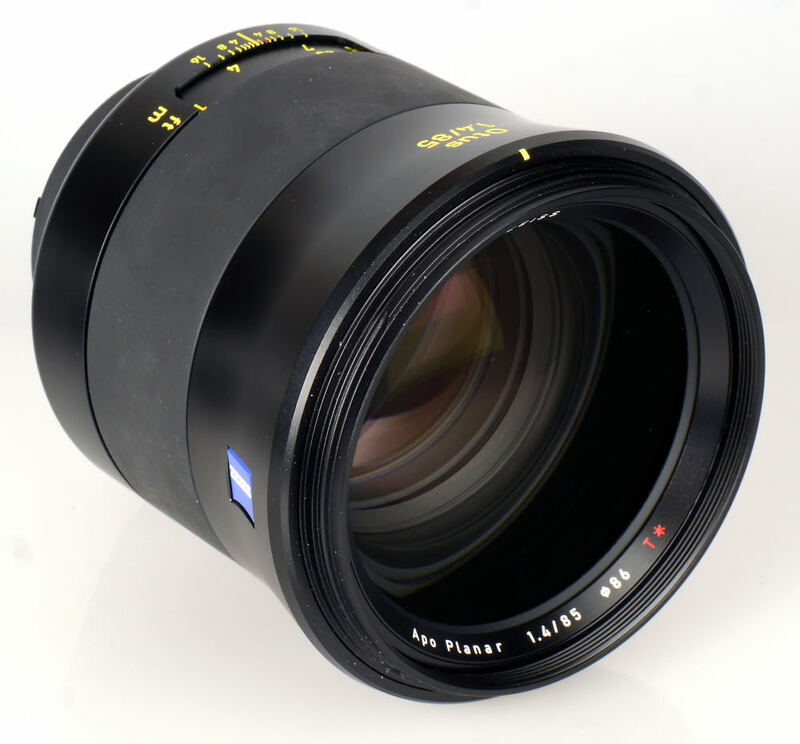 Having bought a Zeiss Planar 85mm f/1.4 for my Alpha 900 last summer, I was marginally miffed when Zeiss announced an 'even better' lens - and reading the review, it probably isn't, in reality. A bit like a Ferrari - under perfect conditions, perfect. On the street, in the folk club... Something smaller and lighter, more agile and economical will actually outperform it in a lot of ways, in practice.